1. Java- This language turned 20 this year but still the popularity is never ending for it. The language mostly used in the big organization holding command over large enterprises application ruling over the business world. The language evolved itself in long theses 20 years to a great extent. There are frameworks like struts and springs also automatic built like maven and gradel that are giving less headache to the coder and equally contributing role in the popularity of it. This is also one of the high paying languages in the world. 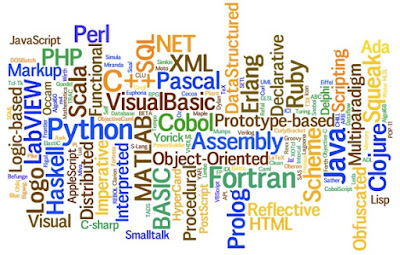 2.Python- Python that has been changed a lot in last decade is ruling in the heart of all start-ups over the world. The speed through which it develops code in a less time is the reason for its popularity and is started getting a good share of percentage in the web development world. Often with Django framework and various libraries, it is becoming on of the favorite language for the programmers. It is heavily used in big data and machine learning applications. 3. Node.js- Node.js is a server side language. In the era of JSON and web services, it is highly used by startups because it is fast and can support the application while transferring data from servers to the web page. 4.ruby on rails-This language has ruled the last decade and replaced PHP to a lot of extents. The websites that are developed by using this framework is known for its rich front end, awesome design, and great scalability. This language is not going to be obsolete so learning this language may help you getting a job in any of the web designing company or you can start developing your product because its so simple to learn and implement. 5. R- As it is said that “data scientist” is the best job of the decade. This language holds the same for it. 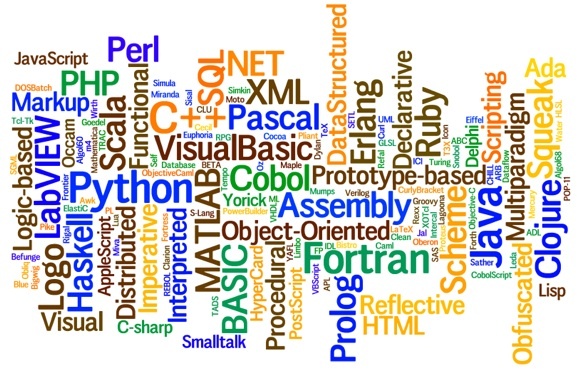 A language gaining popularity in the field of data science and machine learning environment. A language that must try for data analysis in the world of surplus amount of data getting wasted each day.